Merchants Property Services are pleased to offer this MODERNISED TO AN EXCEPTIONAL STANDARD purpose built first floor maisonette situated in this popular residential location, standing in a cul-de-sac position. Lounge/Dining room, Refitted kitchen with integrated appliances including wine cooler. Refitted bathroom (white three piece suite and tiled walls). Two bedrooms, both having wardrobes, loft storage space with pull down ladder, UPVC double glazing, allocated parking to the rear, , INTERNAL VIEWING HIGHLY RECOMMENDED TO FULLY APPRECIATE THE QUALITY OF ACCOMMODATION ON OFFER. This property is ideal for a single or professional couple. This property is not suitable for children or Housing Benefit tenants. 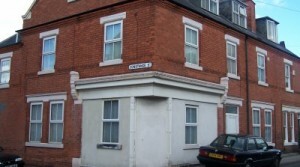 Fully furnished spacious one bed flat. 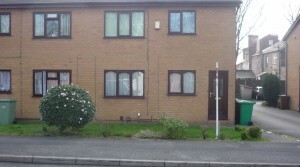 Large double bedroom, New Fully fitted kitchen with all appliances. white bathroom suite with electric showier. Large living space with new furniture throughout. The property benefits from gas central heating and double glazing throughout. Available from November.